At the core of the spiritual life of our community are our Shabbat worship services. Temple Beth Abraham, a member of the Union for Reform Judaism, was founded over 100 years ago by a group of dedicated Jewish families, many of whom are part of our congregation today. Services are conducted in two chapels, one in the Conservative tradition and one in the Reform tradition. 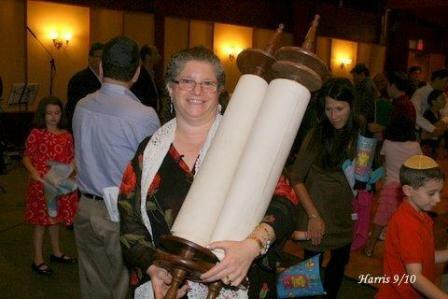 At TBA, we know that there are many ways to express one’s Judaism. There are also different ways to worship and celebrate. We offer a variety of prayer services and holiday programs designed to encourage our members to experiment and stretch. Temple Beth Abraham embraces the traditions and richness of Judaism, as it strives to meet the ever-changing spiritual needs of our congregants. We believe that a personal connection to Judaism should be nurtured throughout one’s life, and meaningful worship experiences are a key part of that process. Our dynamic clergy leads the congregation in fulfilling this spiritual mission. Each Shabbat we gather together in joy and in friendship, each of us striving toward a sense of wholeness. The stress and pressure from the week falls away as our souls expand as we are embraced with music, poetry, meditations and teachings of Torah.